Little bites of information like this appear to be either seldom preserved, or incredibly hard to find, but I finally found what I needed to help prove the argument I am going to make here. In the early 1960s, television programmes were recorded on giant reels of industry standard videotape, measuring two inches wide, and costing £200 per half hour. Meanwhile, the biggest star on British TV at the time, Tony Hancock, was to be paid £4000 per episode for his new ITV series, although he would be paying for the scripts out of this – the highest paid writer was given no more than £500. Put another way, that £200 video tape is the equivalent of nearly FOUR THOUSAND POUNDS today. This massive expense is the root cause of the problem that “Doctor Who” fans know all too much about. 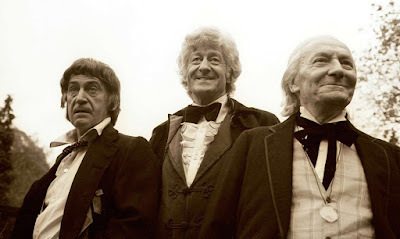 From the original series that began in 1963, ninety-seven episodes were destroyed after their broadcast – the video tapes were transferred to cheaper film stock, to be repeated sold to stations in other countries, and the expensive tapes were reused for other shows. Quite often, the BBC did not keep hold of their film copy, or they would also destroy that later. This has led to bizarre situations where copies of episodes have resurfaced, like nine Patrick Troughton-starring episodes being discovered at a station in Nigeria in 2016 - other episodes have also been animated, using soundtracks of episodes that someone watching at home had recorded on a reel-to-reel tape recorder. Only a few seconds of the first transformation from one Doctor to another still exist, because it was shown in an episode of “Blue Peter” the BBC still have. Evidently, there has been a point where the makers of a TV programme still had to decide whether to swallow the cost of a video tape, bizarre as that may seem today, or whether the ephemeral nature of TV at the time, with no home video market in existence, meant that erasing the product of hard work became a possibility, especially when more expensive colour broadcasting began. The results of these decisions can seem baffling today – three episodes of “Dad’s Army” are still missing, and BBC Four could only start showing “Top of the Pops” every week from 1977 because only from then was every episode kept. 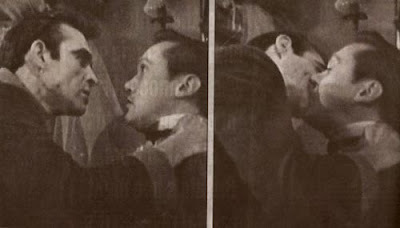 On the other hand, over fifty episodes of the notorious “Black and White Minstrel Show,” deemed racist even at the time, still exist, but the first male-to-male kiss on TV, in a 1960 production of Jean Anouilh’s play “Colombe,” was lost until 2011 – the context here even more ironic because no-one had known that the kisser, Sean Connery, would become a star later. Home video, home streaming, and the insatiable desire for content, has made the decision on what to keep more democratic than it could otherwise be – you have to keep everything, because you don’t know what people may want to re-discover later. The legal loophole that allows members of the public to keep copyrighted material for their own personal use, without profiting or gaining from it, was closed in 1979, as a result of bringing the comedian Bob Monkhouse to court, after lending a copy of a film he had to one of Terry Wogan’s sons. 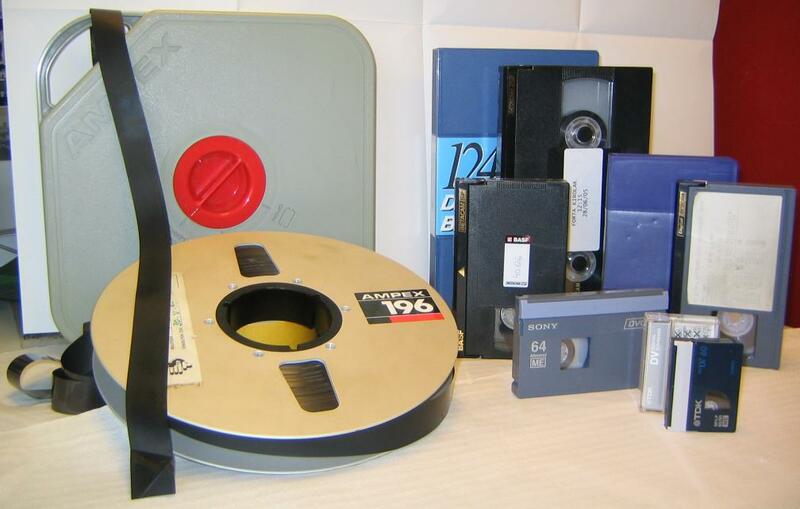 When Monkhouse died in 2003, his archive of 36,000 video tapes and countless other films and radio recordings, including multiple missing episodes of “Hancock’s Half Hour,” and even Sir Lenny Henry’s first appearance on TV from 1975, in an episode of “New Faces,” something Henry had been trying to find for forty years. Obviously, Monkhouse saw something there that was worth keeping.